Suitable for young adults, this book tells the story of Junior, a budding cartoonist who leaves his school on the Spokane Indian Reservation to attend an all-white high school. 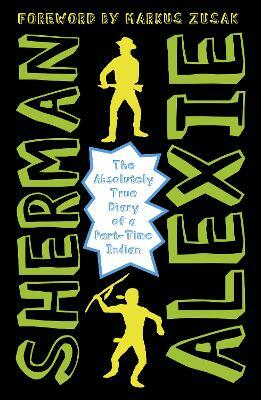 It chronicles contemporary adolescence as seen through the eyes of one Native American boy. An all-new edition of the tragicomic smash hit which stormed the New York Times bestseller charts, now featuring an introduction from Markus Zusak. In his first book for young adults, Sherman Alexie tells the story of Junior, a budding cartoonist who leaves his school on the Spokane Indian Reservation to attend an all-white high school. This heartbreaking, funny, and beautifully written tale, featuring poignant drawings that reflect the character's art, is based on the author's own experiences. It chronicles contemporary adolescence as seen through the eyes of one Native American boy. It is illustrated in a contemporary cartoon style by Ellen Forney.